For the last few weekends we have been feverishly working in our back garden. We have a substantially large yard that has taken over a bit in the last few years. This year was the year we thought we should change things up and simplify. The advantage to not moving anything for the past few years is that all my perennials are massive and ready to be split. We are currently at week four of the big dig up to replant and cut down and I have to say the I am pretty happy with the results thus far. Next weekend, Victoria Day Weekend, will be the big weekend to lay some sod, seed and top dress. We also plan to make a small vegetable garden. At this point I am confident that we will be nearing the end of this back breaking task which pleases my hubby to no end. I think I can connect the dots on his hands with all the blisters. I am looking forward to sitting by our crystal clear pool with a nice glass of wine admiring our handy work. We will still have a few small jobs to do but the bulk of the work is done. This is also great news for the rest of the family as they will start eating better again. I will be the first to admit I get a little preoccupied and totally loose track of time. By the time the kids ask for dinner it is probably close to 7:00 and at that point I also realize that we haven’t had lunch either. Now before you rush off and call CAS on me they are 14 and 17 and are quite capable of making their own meals but like me they get preoccupied in their own activities. I chose to make this salad Saturday afternoon as it only took 20 minutes from start to finish and the majority of that time was on the BBQ. I had mine with some delicious salmon sausages and the family had some mild Italian sausage. Everyone was satisfied and it didn’t take a lot of effort on my part. Perfect! There are 2.8g net carbs, 4.4g protein and 4 Weight Watchers points per serving. Rinse asparagus and trim ends off and cut asparagus in half. 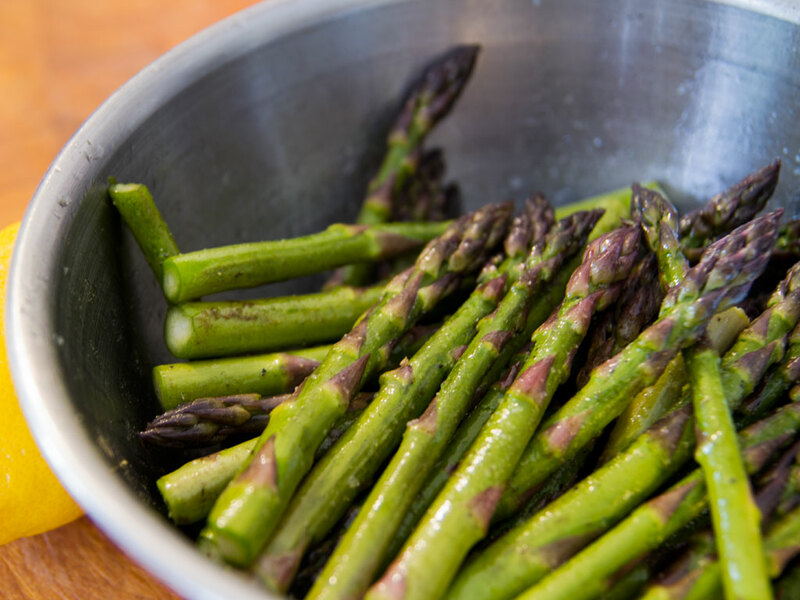 Drizzle with a couple tablespoons of olive oil and make sure all of the asparagus spears are coated with oil. Sprinkle with salt and pepper. Place in a preheated BBQ and grill for 10-12 minutes. Remove from BBQ and allow to cool. For the dressing whisk together lemon zest, agave nectar, dijon mustard and salt. 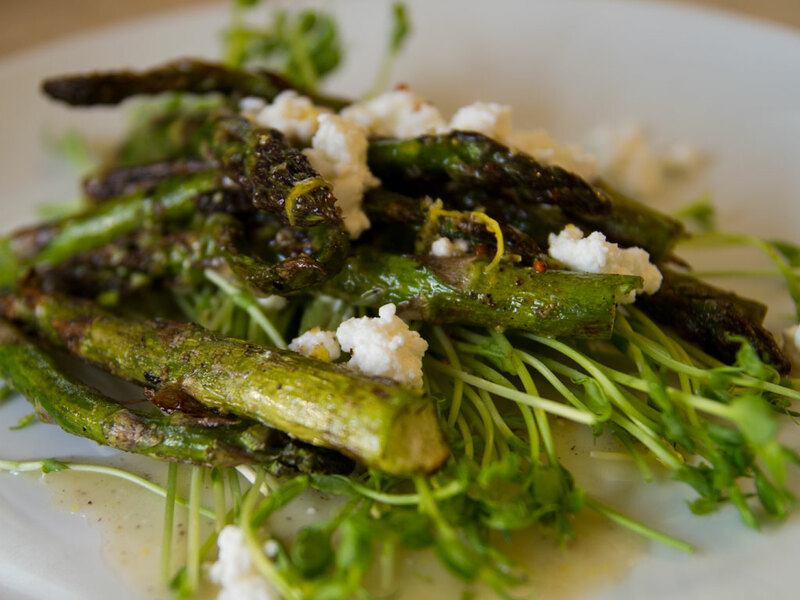 Divide your baby pea shoots between 4 plates and top with asparagus and feta crumbles.